Happy New Year, everyone! This is my first post of 2016 and I’m doing it in the spirit of renewed energy. The renewed energy comes from having had 5 days off from work over the New Year’s Eve weekend. I don’t expect it to last long, especially since next week is a very full one for me. But I figured, let me jump on this bandwagon and give my blog a New Year’s push. First, I want to announce a couple of new publications. 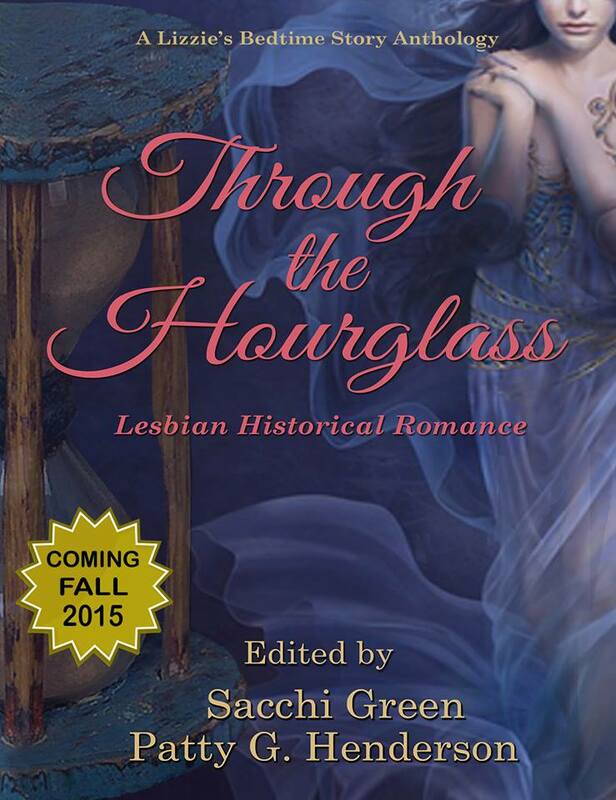 My short story “The Rum Runner and the Showgirl” is in the new collection Through the Hourglass: Lesbian Historical Romance. There are some cool stories in there by an amazing group of writers, including Ann Bannon, Lee Lynch, Jean Copeland, Allison Fradkin, Patty G. Henderson, Heather Rose Jones, Megan McFerren, Cara Patterson, Aliisa Percival, Doreen Perrine, Priscilla Scott Rhoades, Susan Smith, Lexy Wealleans, Connie Wilkins, and MJ Williamz, edited by Sacchi Green and Patty Henderson. It’s available HERE. The other is Best Lesbian Erotica. The 2016 edition also happens to be the 20th anniversary edition, so it’s pretty awesome being in this volume of stories. The release date for that one is February, but it’s available for pre-order HERE. Andi Marquette and I are putting together the follow-up book to our Lambda-finalist anthology, All You Can Eat. (Yes, I had to get the Lambda thing in there. I mean, how many times in my life am I going to be able to say that?) The new book is called Order Up, and we’re accepting submissions until January 15. So, if you have a food-related romance or erotica story collecting dust, you have exactly one week to clean it up and get it to us. Here are the submission guidelines. Also, I’ve been dropping hints about a new project that I’ve been working on. I’m still not able to say anything about it, but it’s getting very close. And I’m quite anxious to announce it. The one thing I can say about it is that it’s about VAMPIRES! Woo! I wish I could have more blocks of time like I had over the New Year’s Eve weekend. What it showed me was that when people can work at their own pace, rest when they need to, get up when their bodies tell them to, and focus on what’s important to them, they can get so much done and still feel like they can do more. After a couple of days of not getting up at the crack of dawn and doing all the things I needed to do for myself, I wasn’t utterly exhausted. Even when I was physically tired, it wasn’t all-consuming like the fatigue I feel after a week of commuting and working at a job I hate, which also leads to mental exhaustion. I went back to work on Tuesday (January 5), and when I got up that morning, I didn’t feel like the walking dead, as I do most mornings. That’s because I’d just had 5 glorious days of waking up when *I* was ready to get up. And now, after commuting and working for 4 days, I could sleep for a week. Granted, I have the added problem of Epstein-Barr, which just makes me tired all the time anyway. But what a difference those 5 days made. Look, life is what it is, and we have to play the game. Very few people are fortunate enough to live life exactly the way they want to. Anybody who’s read this blog, or follows me on Facebook and Twitter, knows that I’ve been excruciatingly unhappy at my job. Nothing’s changed, but I’m still on my journey of acceptance. I’ve also come to the conclusion that I have no control over anything. That’s neither negative nor positive—it just is. I really don’t think anyone has control, no matter how much people say that they’re the masters of their own destiny or captains of their own ship. The way I see it, if you make plans and they turn out the way you want them to, then you’re lucky. I can jump through 10 hoops of fire but I have no control over what I find on the other side of those hoops. I can declare what I want to find and hope that I find it, but I can’t ensure it. So, I give myself over to the Universe. I bow down at the feet of Destiny, for she is the lord and master of my life. I can ask for what I want and do things to propel me there, but only She has the power to let it happen. 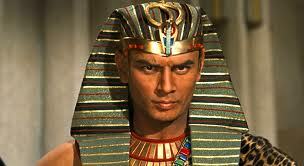 In the words of Yul Brynner as Rameses in The Ten Commandments: So let it be written; so let it be done.